Amy Huftalin completed her undergraduate degree from the University of Illinois and MAT from Rockford University. Most recently, she completed a doctorate in Reading and Language from National Louis University with a focus on elementary writing practices. 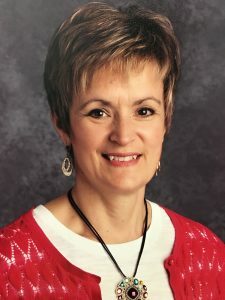 Her 25 years of experience in public schools included classroom teaching, Reading Recovery, and ten years as a literacy coach and reading specialist. Amy has presented at several state conferences and also wrote an article published in the Illinois Reading Council Journal. She currently teaches literacy courses as an adjunct professor for Rockford University. With Crossland Literacy, Amy assists districts in designing paths toward improved comprehensive literacy instruction. Her education and experience serve as a valuable resource for administrators, teachers, and students in schools across the state.